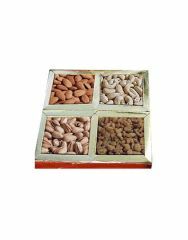 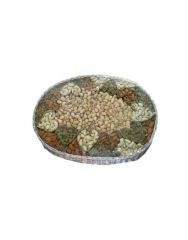 The gift contains delicious 400 Gm Dryfruit combo in food-grade plastic box. 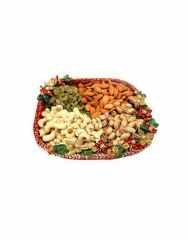 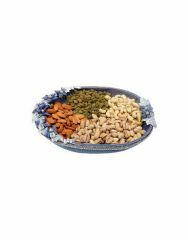 The combo comprises of Goan Kaju (Cashew Nuts) and Iranese Roasted Pista (Pistachio) in equal quantity. 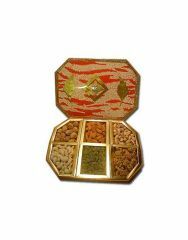 Packing is done in hermatically sealed plastic and then covered in a box to preserve the freshness of the product. 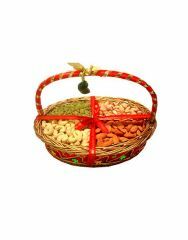 It is an ideal gift for your near and dear ones.